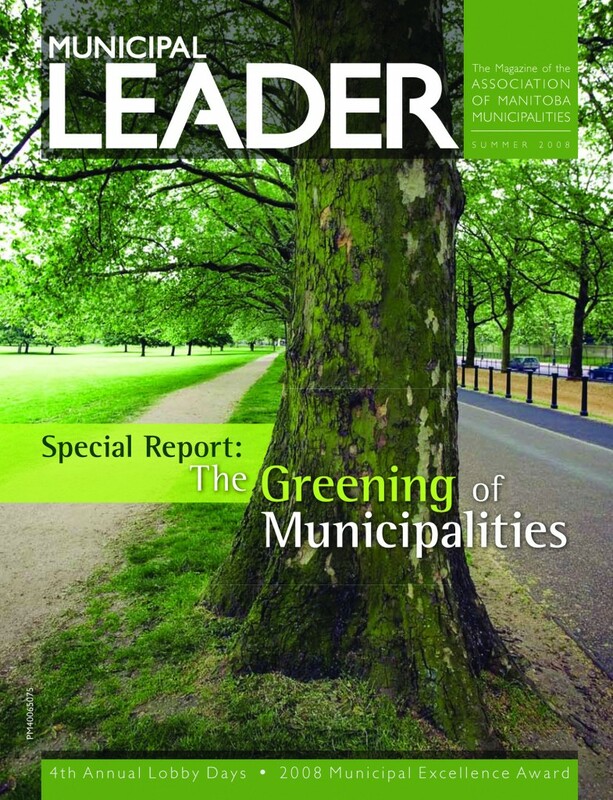 The summer, 2008 issue of The Municipal Leader revisits a topic not covered by the Leader since early 2003, but very much in the limelight today – greening of municipalities. From green buildings, to recycling, to available funding sources, to where the future is leading for greening in Manitoba, we’ve got it all. Of course, you will find out how the AMM is turning “green” as well!